Is Mosi-guard as effective as Deet? The active ingredient in Mosi-guard is Citriodiol ®, Mother Nature’s most effective insect repellent. Deet, an old fashioned repellent, is a synthetic chemical which is a powerful solvent. This means it can damage plastics, paints and synthetic fabrics. Deet is readily absorbed into the skin which can lead to problems, especially in young children. Many people find the oily smell of Deet unpleasant and skin reactions are common. Despite the drawbacks, Deet was always considered to be the most effective insect repellent available and this led to widespread recommendation of Deet. However, a recent study conducted at the London School of Hygiene and Tropical Medicine compared three of the most popular insect repellent brands in the UK . 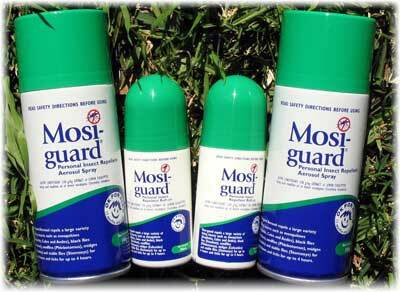 It was shown that Mosi-guard is as effective as the strongest available deet repellent over an eleven hour period. So why put up with drawbacks? Can I use Mosi-guard on babies and young children? There has been extensive experience with the use of Mosi-guard on children from 3 months of age onwards. There is less with very young babies. Very little of the active ingredient in Mosi-guard is absorbed through the skin. A young child’s skin can be sensitive we always suggest that you apply a little of the repellent to a patch of skin, say on the leg, before making a full application. It is essential to protect babies if taking them into areas where malaria may be a risk. I am pregnant. Can I use Mosi-guard ? There have been no formal studies done on pregnant women. However, if you do need to use a repellent, Mosi-guard would be a logical choice as very little is absorbed through the skin. How long does Mosi-guard last? Mosi-guard is completely effective for eleven hours against free-flying mosquitoes when applied at normal consumer rates. In trials of this nature the subjects are inactive. Repellents may wear off more quickly if you are active or perspiring and should be reapplied more frequently. Can I apply Mosi-guard with a sun screen? Yes, but you should apply Mosi-guard on top of your sun screen. Remember that most mosquitoes bite between dusk and dawn when you are unlikely to be wearing sun screen. The Aedes mosquito which can spread Dengue, Ross River and Barmah Forest virus infections, bites in the day, so if you are in a region where dengue is a problem you might wish to apply Mosi-guard over your sun screen. Insects are attracted from a distance by various stimuli especially the carbon dioxide we produce just by breathing. Then, closer to the skin, other "biting stimuli" like heat, humidity and components of sweat become important. Exactly how insect repellents work is not known. The sensitivity of different insects to particular repellents varies considerably. Ultraviolet lights that attract and electrocute insects (" zappers ") are effective against houseflies and blowflies but have no effect against mosquitoes. " Buzzers " claim to "repel" mosquitoes. They don't work! Overseas, companies have been fined for making false claims for "buzzers". Vitamin B1 (thiamine) is said to reduce risk of bites and local reactions, but this has never been confirmed. "Deet" (diethyltoluamide or dimethylbenzamide) is a synthetic repellent derived from coal tar. It has been the "gold standard" insect repellent for years. Most popular brands contain it - check the label! While everyone agrees that deet is an effective repellent, it's synthetic, can be toxic, and does things like dissolve plastics. Surely Mother Nature has something better! She does. Citronella is one substance but its insect repellent effect is short-lived & it can cause significant skin irritation and rashes. Is there something better? Yes there is!! For thousands of years the Chinese have been using various extracts of lemon eucalyptus to repel insects. One of these, "quwenling" is a chinese word that means "effective repeller of mosquitoes". Only recently has this powerful insect repellent been developed, tested & made into an insect repellent (Mosi-guard ) that is much more powerful & effective than ordinary citronella. Mosi-guard is the NEW personal insect repellent derived from oils of Lemon Eucalyptus, Mother Nature's own insect repellent. Extensive testing by world leaders in insect repellent research proves Mosi-guard to be powerful, effective & safe for all the family. An added bonus is that Extract of Lemon Eucalyptus is renowned for its anti-bacterial & anti-fungal properties.